What type of flower is this? Found it in Tennessee in June. Re: What type of flower is this? a campanula of some sort? 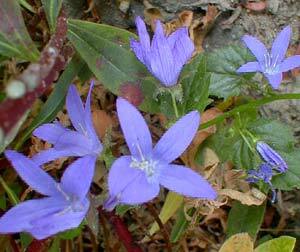 not for sure but I think it is Serbian bellflower, campanula posharskyana. Chives - To Flower or Not to Flower? What Type Of Ivy Is This? ?